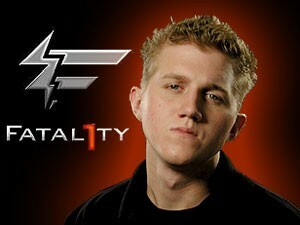 The man pictured to your left is Johnathan, “Fatal1ty,” Wendel, who is considered the PC gaming world’s most accomplished professional gamer based on his world-wide, number one ranking in the FPS (First Person Shooter) category and the hundreds upon thousands of dollars he has earned through professional video game competition. This has also earned him a place as a spokesman for his own, custom-designed PC gaming accessories, manufactured by Creative, such as the headphones you see below. They can be found on the Fatal1ty website here. 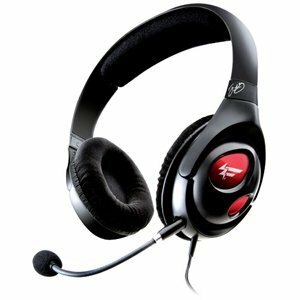 I personally own the Creative HS-800 Fatal1ty Gaming Headset, which I received as a Christmas gift from my best friend a few years ago.This headset comes with a detachable microphone and is equipped with generous padding for the head and ears. There is also a swivel feature on each side so that the earphones adjust to just about any size head. It takes several hours for this headset to give me that uncomfortable feeling that makes me want to finish my gaming session and take them off. All other headphones that I’ve committed to recent memory only feel comfortable for about an hour. The noise-cancelling ability of the Creative HS-800 Fatal1ty Gaming Headset is to the point that you may miss phone calls or house calls during use. In my opinion, this is a good thing, just don’t wear them if you’re waiting on an important call or a delivery for which your signature is absolutely going to be required because you won’t hear the knock on your door, nor will you hear your doorbell.Below, you can see that this particular model uses two inputs in order to plug into your computer. The green connection is for the audio output that you will hear through the earphones and the pink connection allows you to use voice commands and live chat via the microphone attachment. I’ve found the microphone to be very responsive when programming the Microsoft.NET framework to recognize my voice on the PC in order to use voice commands within a flight simulator. My roommate (and aforementioned best friend) who bought this headset for me, found them on sale for either $19.99 or $24.99 at Fry’s Electronics during an after Christmas sale. Currently, the Creative HS-800 Fatal1ty Gaming Headset retails for $49.99, but you can find them on Amazon.com for $38.18 here. There is a visually identical model, with the exception of the connection being USB, which retails for $79.99 and can also be found on the Fatal1ty website here. Based on the website, this USB version is considered the superior version as its in-site advertisement described it as the model of choice for online video game competition and obviously, its higher price point. If you’re going to compare the complete spectrum of headsets, the Creative HS-800 Fatal1ty Gaming Headset may not be the absolute best, but at a low-to-mid range price point, this model is a dependable solution to your gaming needs. 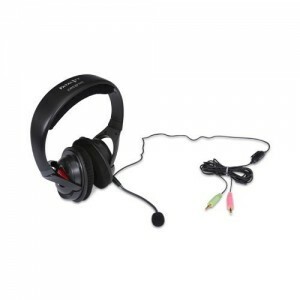 The audio quality and noise-cancelling feature is also great for listening to music on any portable music player that is compatible with a standard input jack. I use them on a portable CD player for language lessons and the noise-cancellation helps me to focus. I’ve also spoken with a professional DJ who found the audio quality of this headset comparable to the original Beats by Dre headset given to him as a Christmas gift from his wife. Considering that Beats by Dre headsets range in price from $199.95 to $499.95 and are currently considered the best in the industry from what I’ve read, the Creative HS-800 Fatal1ty Gaming Headset is a steal at any of the price points I’ve mentioned.